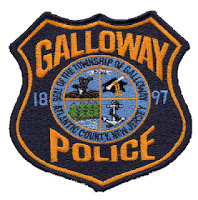 Galloway Township Police reported on February 5, 2013 at 8:33 p.m. a vehicle driven by Julianne Lieb, 56 from Galloway Township was traveling westbound on E. Biscayne Avenue when the driver failed to negotiate a curve at Seaview Avenue. The vehicle a 2007 Pontiac G6, reportedly left the roadway and struck a tree. The roadway was closed for approximately 60 minutes. The driver was transported to ARMC City Division for a head injury. Galloway Township Ambulance Squad, Atlanticare Medics and Bayview Volunteer Fire Company responded to the accident.